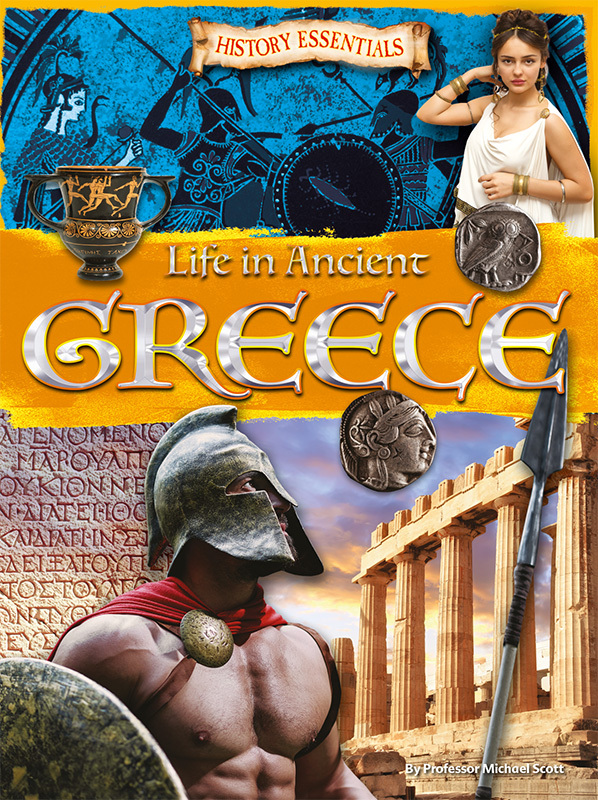 I am incredibly proud to be able to introduce to you all my new book, Life in Ancient Greece, written to support learning in Key Stage 2 of the UK national curriculum (school years 3-6; children aged 7-11). This is something I have wanted to do for a long time, and is my first attempt at writing directly for young children. I have been working with Ruth Owen at Ruby Tuesday Books (@RubyTuesdayBks) on this project. Ruth and I discussed the different topics we wanted to focus on, and what would best match the curriculum notes. Then I wrote the text for the book, with Ruth and her great team doing a fantastic job of editing and bringing it to life with the amazing illustrations throughout. 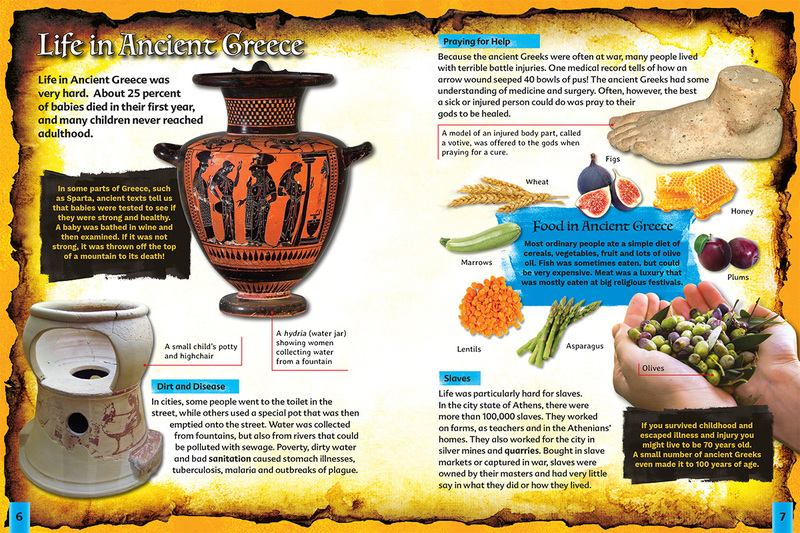 As I hope you get a feel for from the book, Ruth and I both wanted to emphasize how we know what we know (see ‘Uncovering Ancient Greece’ section), as well as what we know about life in ancient Greece – and to make sure we focused at least in part on the era of life in ancient Greece most recognisable to the young children reading the book: childhood! At the same time, I wanted to ensure the difficulties of life in ancient Greece were as apparent as some of its amazing accomplishments, and that we put ancient Greece in the context of the wider ancient world of which it was an integrated part (see ‘Ancient Greek Explorers’ section), rather than offering a picture of it as if it existed in splendid isolation. 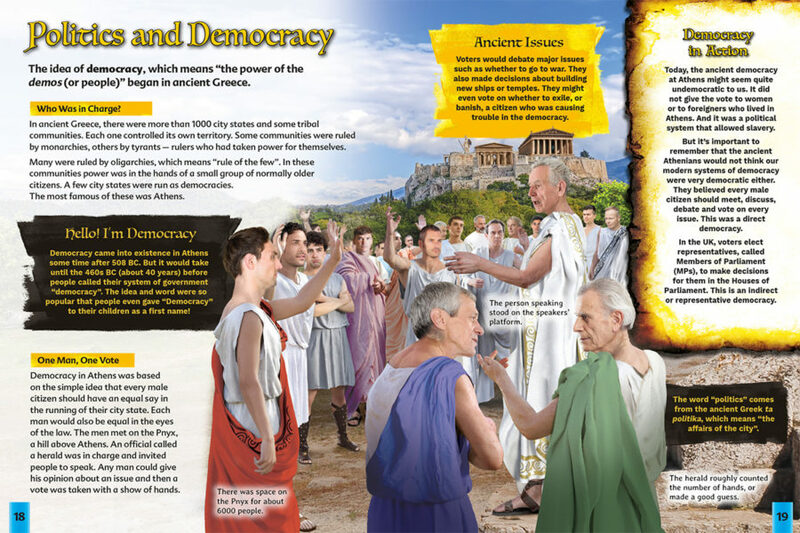 Finally, I wanted to get children thinking about how and why ancient Greece still matters to us today (see the ‘Ancient Greece in our World’ section).